We started the day on Lake Champlain hoping to find crappie, bluegill, pumpkinseed, or bass. The bite was slow and we covered a ton of water. Although we managed to catch a bunch of bluegill, it wasn’t enough to captivate our attention. After Bobby pulled this bass in, we started scheming where else we could go that wouldn’t be too a big inconvenience. After the sad morning of fishing, we figured it wouldn’t be too hard to upgrade the status of our day. After launching the boat, we took a look at a map of the lake and tried to determine where the fish would be. Because the lake was so rough, we figured that we would start on the sheltered shore lines with mid depth water. It took about two minutes to boat the first crappie of the day once we got rolling. The fish came off the limb of a submerged tree in 7′ of water. The second crappie came only a few seconds later. I guess we made the right decision! We were able to replicate this pattern throughout the day. The fish were very aggressive but because of the wind, staying in the right position was tough. The use of the electric anchor on the Minn Kota trolling motor was huge today! 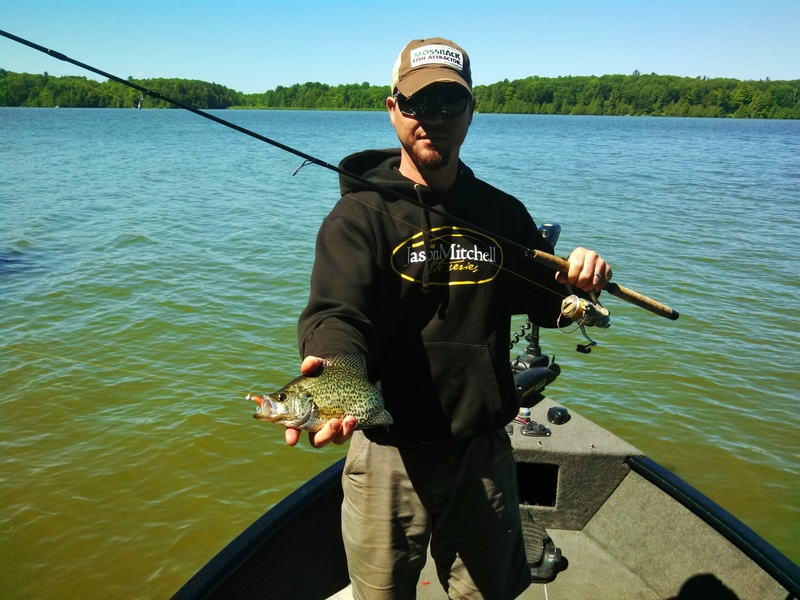 What we were able to determine about this trip was that the crappie were right on wood. About as close as you could fish to it without snagging. Everywhere around the tree was surrounded by perch. Decent ones at times too. 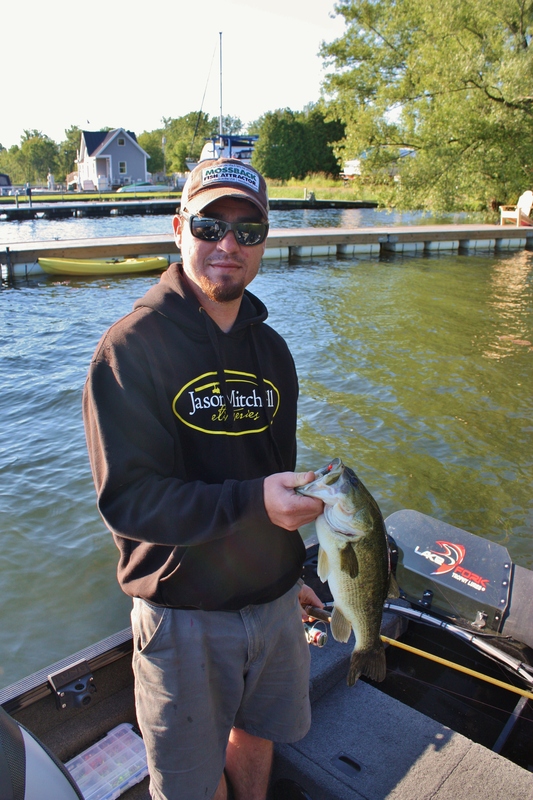 We split up our fishing time between vertical jigging and casting bobbers. Both methods were equally productive depending on how the structure was orientated. We fished the “Live” Baby Shad by Lake Fork Trophy Lures. We fished every color in the box and it didn’t seem to matter much. The fish were just aggressive. At one point, the most productive bait was any bait was had it tail bit off. Just the body shape was all it took! 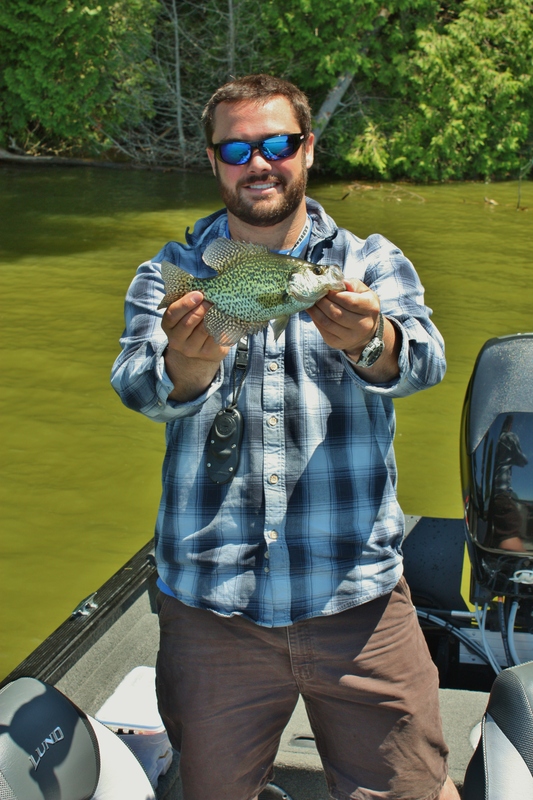 Check out Dirty Water Crappie on our YouTube channel for more action!